Locked out? Click here to call us now for affordable 24 hour emergency locksmith services. Albany Locksmiths Edinburgh can gain entry to all garage lock types. Whether you've had keys lost, stolen or the lock is faulty. We can effect at quick cost effective solution to your problem. 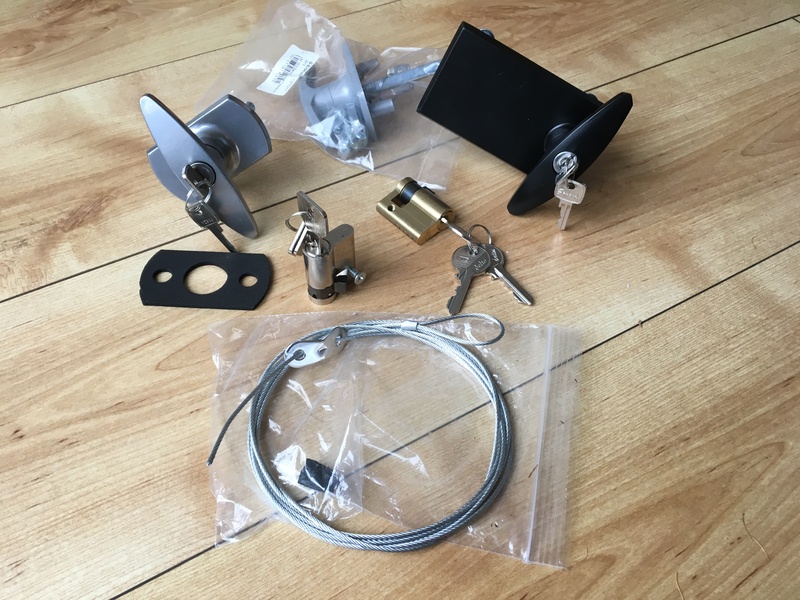 We always carry a wide range of the most common garage lock types and have the ability to source the more uncommon locks usually within 24 hours. More and more these days garages are no longer solely used for storing vehicles. Most garages are now used for storing sometimes valuable items such as mountain bikes, power tools, lawn mowers and Ski equipment. Some home owners even go as far as completely changing the function of the garage. At Albany Locksmiths Edinburgh we have worked on the security of garages that have been converted into gyms, nannies bedrooms and even a personal Pub complete with bar, pool table and glitterball! But seriously while garages are used to store more valuable items they often have woefully inadequate security. Up and over garage door design and security has changed little in the last sixty years. A pivoting metal door secured one or two spring loaded latches which hook onto the metal frame of the garage door. Most garage doors are locked at the handle. Using either a wafer cylinder located in a "T" handle or a single Euro cylinder normally located under the handle or knob. Because garage doors are mostly secured by spring loaded latches a knowledgeable thief will know where the latches are located and how to overcome them. 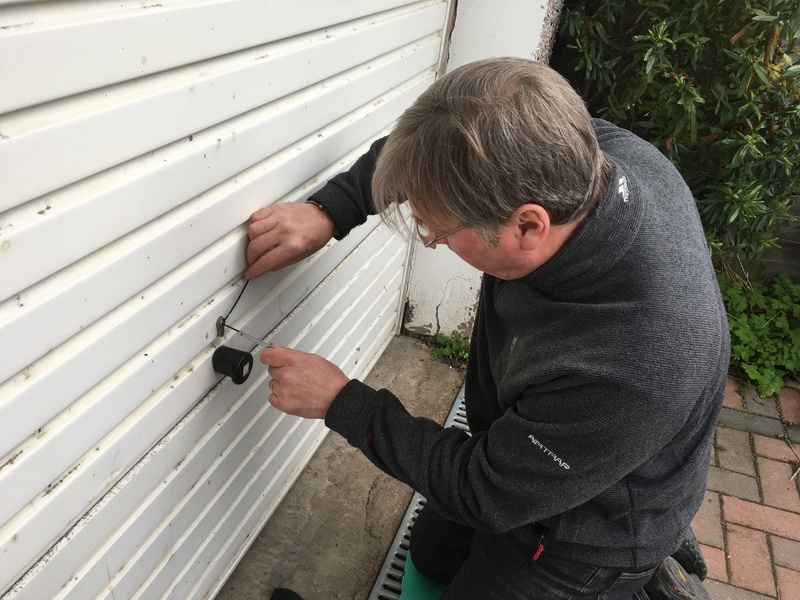 The older single latch systems that have a wire cable running from the handle to sprung latch are particularly vulnerable and any Locksmith in Edinburgh would recommend adding additional security before storing valuables in these garages. Albany Locksmiths preferred method for effectively securing an up and over garage is using a Garage Defender.